Olympic Gold (オリンピックゴールド) - Development - SMS Power! v0 represents the English language using the flag of the USA, while v1 uses the flag of the UK. 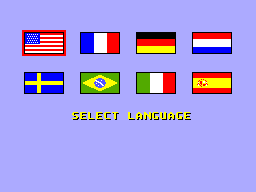 v1 adds 7 bytes of code at address $02bc3, the purpose of which is to play an additional sound effect after displaying the medal table. 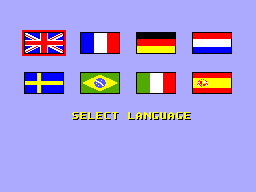 In its ROM Header, v0's region is "GG International". v1's is "GG Export".